Jack Ruby, the man who eventually shot Lee Harvey Oswald, told an FBI informant to "watch the fireworks" on the day President John F. Kennedy was killed, according to new records the National Archives released Friday. New records – first highlighted by University of Virginia political analyst Larry Sabato — describe what an FBI informant later told officials about Ruby. Oswald shot and killed JFK on Nov. 22, 1963, in Dallas. The interaction on the morning of the JFK assassination wasn't officially relayed to the FBI until March 1977, and the informant was eventually revealed to be Bob Vanderslice of Dallas. "The informant stated that on the morning of the assassination, Ruby contacted him and asked if he would 'like to watch the fireworks,'" an FBI record dated April 6, 1977, says. "He was with Jack Ruby and standing at the corner of the Postal Annex Building facing the Texas School Book Depository Building at the time of the shooting. Immediately after the shooting, Ruby left and headed toward the area of the Dallas Morning News Building." Vanderslice told the FBI in 1977 that Ruby said nothing to him immediately after the assassination. But the informant said that after Ruby was arrested for killing Oswald, he was also arrested on an unrelated charge, and Vanderslice got to know Ruby better in the Dallas County Jail. 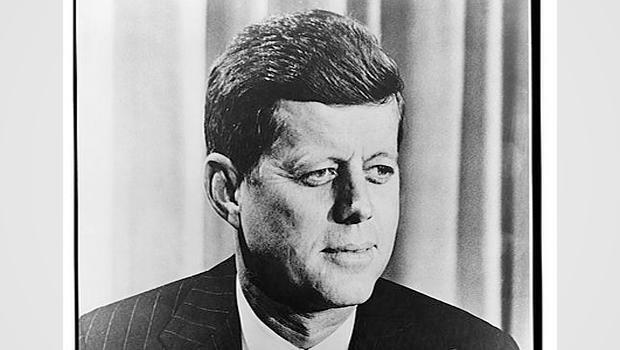 The National Archives has been releasing JFK assassination records in batches. Intelligence agencies had posed objections based on concerns that releases could reveal information about still-living sources. President Trump gave a six-month timeline until April for the release of all the records.